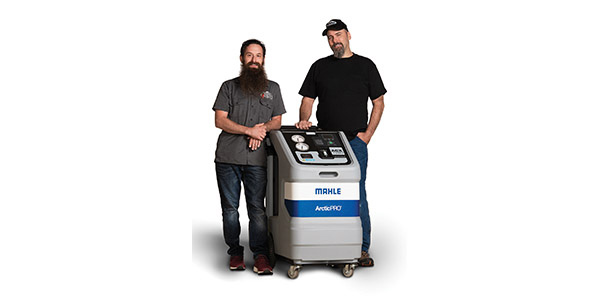 MAHLE Service Solutions has announced it will be working with auto repair experts Eric “TheCarGuy” Cook and Charles Sanville, better known as “The Humble Mechanic,” to serve as new brand ambassadors for the division. Cook and Sanville will be formally introduced to the industry at AAPEX 2018 in Las Vegas where they will make appearances, demonstrate products and participate in events on behalf of MAHLE Service Solutions. Throughout the year the pair will represent the division’s shop equipment to the automotive aftermarket. 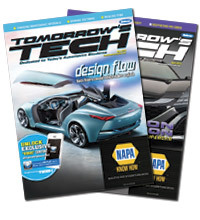 Cook is known for his expertise in auto repair and video production. Cook started “EricTheCarGuy” in 2009 with the intent of helping do it yourself (DIY) consumers solve their auto repair issues through instructional videos. He has produced numerous videos on air conditioning (A/C) recharge and fluid flushes. Cook has nearly 1.3 million followers on various social media platforms, including YouTube, Facebook, Instagram and Twitter. He is a graduate of Rosedale Technical Institute and an ASE certified master technician. Sanville is a former technician who currently works full-time as a podcaster and YouTube host as the “Humble Mechanic,” hosting new videos five days a week. Topics on the show include how parts fail, tool and product reviews, understanding vehicle warranties and how to become a better technician. Sanville is an ASE certified master technician with a passion for fixing cars, and helping people understand their cars. Like Cook, Sanville has more than 375,000 social media followers through YouTube, Facebook, Instagram and Twitter. He attended Universal Technical Institute in Glendale Heights, Illinois.